2013 is the year the U.S. kicks off its wholesale military occupation of Africa. The escalation should come as no surprise, since the Army Times newspaper  reported, back in June, that a U.S. brigade of at least 3,000 troops would become a permanent presence on the continent in the new year. On Christmas Eve, the Pentagon announced that 3,500 soldiers of the 1st Infantry Division’s 2nd Brigade, in Fort Riley, Kansas, will be sent to Africa, supposedly to confront a threat from al-Qaida in Mali, where Islamists have seized the northern part of the country. But the 2nd Brigade is scheduled to hold more than 100 military exercises in 35 countries , most of which have no al-Qaida presence. So, although there is no doubt that the U.S. will be deeply involved in the impending military operation in Mali, the 2nd Brigade’s deployment is a much larger assignment, aimed at making all of Africa a theater of U.S. military operations.The situation in Mali is simply a convenient, after-the-fact rationale for a long-planned expansion of the U.S. military footprint in Africa. The Pentagon’s larger purpose in placing an army brigade on roving duty all across the continent is to acclimate African commanders to hosting a permanent, large scale U.S. presence. This is a very different kind of invasion – more like an infiltration-in-force. The Pentagon’s strategy is designed to reinforce relationships that the U.S. Africa Command has been cultivating with African militaries since the establishment of AFRICOM  during George Bush’s last year in office. 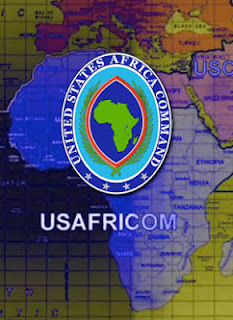 As an infiltrating force, AFRICOM has been a phenomenal success. Militarily speaking, the African Union has become an annex of the Pentagon . The AU’s biggest operation, in Somalia, is armed, financed and directed by the U.S. military and CIA. The 17,000 African troops on so-called peace-keeping duty in Somalia are, for all practical purposes, mercenaries for the Americans – although poorly paid ones. Ethiopian and Kenyan forces act as extensions of U.S. power in the East Africa. U.S. Special Forces roam the Democratic Republic of Congo, Uganda, South Sudan, and the Central African Republic – ostensibly looking for the fugitive warlord Joseph Kony but, in reality, establishing a web of U.S. military infrastructures  throughout center of the continent. Uganda and Rwanda keep the eastern Congo’s mineral riches safe for U.S. and European corporations – at the cost of 6 million Congolese lives. Their militaries are on the Pentagon’s payroll. In northwest Africa, the 16 nations of the region’s economic community await the intervention of the United Nations  – which really means the United States and France – to “expel the Islamist forces”  from Mali. Militarily, the West Africans are totally dependent. But, more importantly, they show no political will to escape this dependency – especially after the demise of Libya’s Muammar Gaddafi. The creeping, continental U.S. expeditionary force, soon to be spearheaded by the 1st Infantry Division’s 2nd Brigade, will bunk down in African military bases throughout the continent, not as invaders, but as guests. Guests who pay the bills and provide the weapons for African armies whose mission has nothing to do with national independence and self-determination. Three generations after the beginnings of decolonization, the African soldier is once again bowing to the foreign master.